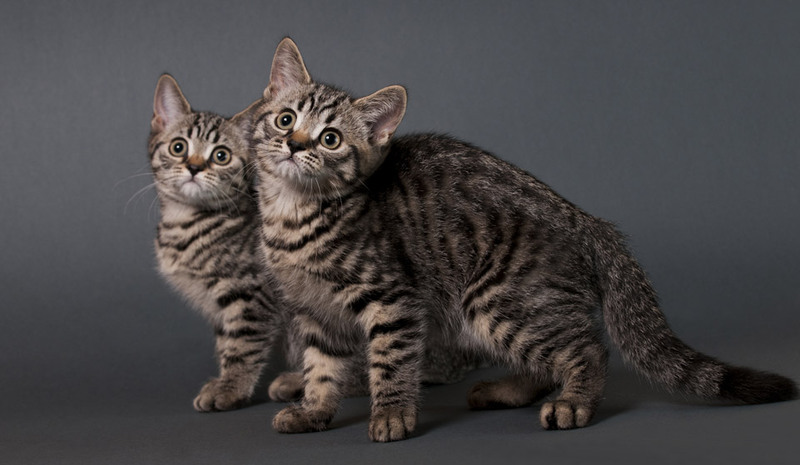 The English Shorthair is the descendant of cats brought to Britain by the Romans and then interbred with wild native cats. They were later crossbred withPersiancats to improve the thickness of their coat. The breed was defined in the 19th century and English Shorthairs were shown at the 1871 Crystal Palace cat show. From the very beginning, these cats were very much appreciated for their resilience to effort and their striking agility. Soon in that age, they became famous for their hunting abilities. Along the years passing, due to their calm and loyal character, these cats have won the love of all humans around them. English Shorthairs have dense, plush coats, it is a very muscular cat, with a “square” body shape and thick legs. Because of its bulk and muscle, it is nicknamed the bulldog of the cat world. The males’ average weight is 5-10 kilograms, whereas a female would weigh up to 5–7 kg. As with many breeds, the adult males may also develop prominent cheek jowls that distinguish them from their female counterparts. English Shorthairs are an easygoing breed of cat. They have a stable character and take well to being kept as indoor-only cats, making them ideal for apartment living. Some do not mind being cuddled, but most prefer to keep four paws on the ground and be patted rather than picked up. The typical lifespan of this breed is 14 to 20 years. English Shorthairs do not require a lot of grooming as their fur does not tangle or mat easily. English Shorthairs can be prone to obesity when desexed or kept indoors, so care should be taken with their diet. Gingivitis (red inflamed gums), which will cause an affected cat to require careful dental care. Cardiomyopathy, which can cause anything from a minor heart murmur to severe heart trouble.